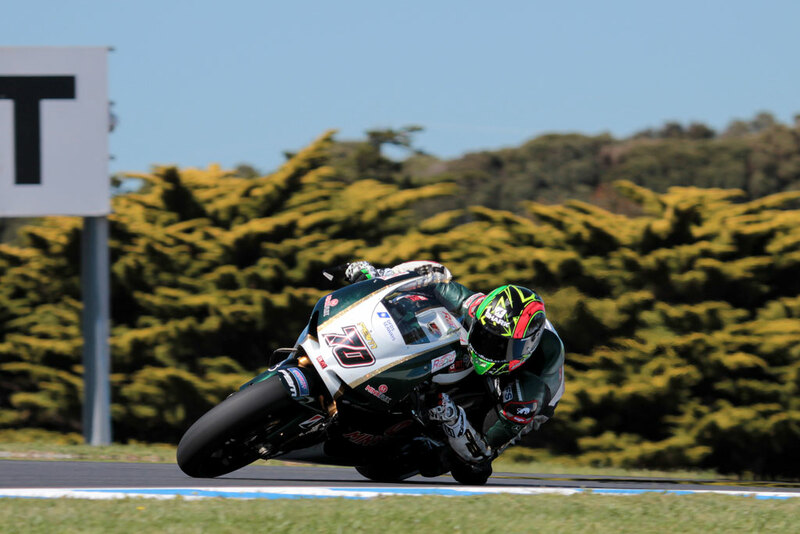 Philip Island is a tough circuit to learn in ideal conditions but with wind playing havoc at the Island today Michael Laverty’s task of finding his way around the fast and flowing Australian circuit was given an added difficulty. In the opening practice session of the weekend the Irishman took his time getting up to speed but by the afternoon he was much more comfortable and would eventually finish the day 19th fastest and in a competitive group within the CRT field. “It’s tough to learn the track with the wind that we’ve had today. It buffets you everywhere so it’s hard to figure out your braking markers because it’s different from lap to lap. It was worst at turn two and three and this morning it was so hard to learn turn two because I was coming out of there without enough momentum and I was wheeling and then wind would get underneath the bike so it was so hard to even get to full throttle. “Coming out of turn two you can see the sea and the wind just gets under you. You want to get to the outside edge of the track but you can’t get there because the wind takes you where it wants you want to go. I’m not sure if maybe you need to expect it and then run wider and then let it take you in from there. 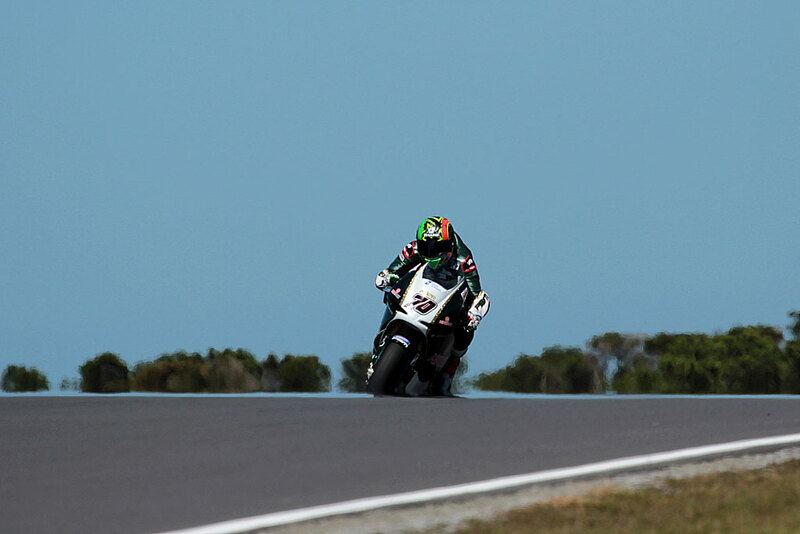 Laverty ended the session less than one tenth slower than Petrucci but he was confident that there was over half a second within himself. 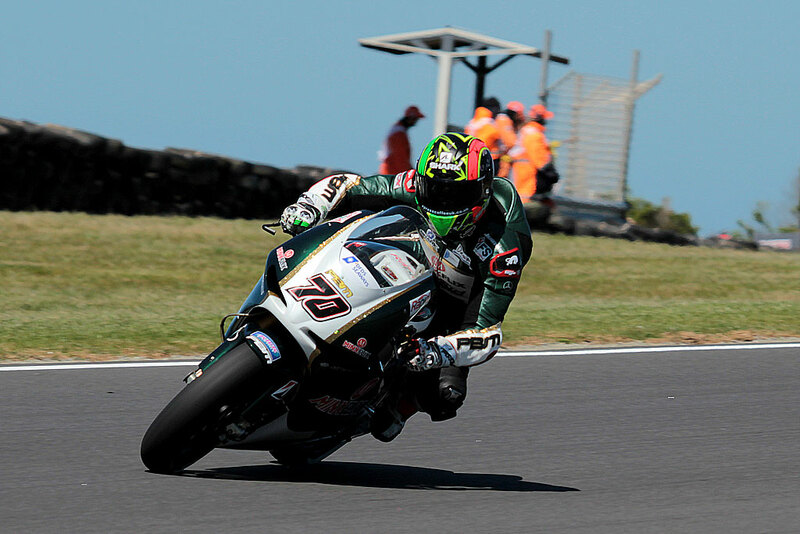 With the majority of the CRT runners lapping within that time frame if the PBM squad can improve the chatter problem Laverty is confident of having a good race and confirming the pace that he has shown on the ART machine since making the switch at Aragon. This entry was posted in MotoGP, News and tagged Aragon, Australia, Cathode ray tube, CRT, Laverty, Michael Laverty, Track and field, Wind. Bookmark the permalink.